From the mid-1970s, Mike Kelley assembled an incredibly diverse and often controversial body of work. A multi-disciplinary impresario, he created works on paper, paintings, sculpture, video, installation, and performance art that managed to be at once shocking yet humorous, and complex yet accessible. This companion volume to a much-anticipated exhibition brings a fresh understanding to the artist's work by seeking to address the more poetic aspects of Kelley's work through Eva Meyer-Hermann's unique curatorial approach. Here she presents individual works in new combinations that cross the boundaries of chronology, bodies of work, and former artistic project groups. 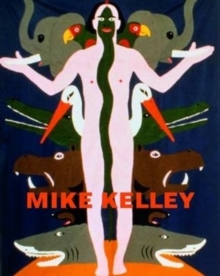 Identifying themes such as architecture, language, identity, Informe, power, modernisms, nostalgia, and religion, the book represents ideas that have informed Kelley's work throughout his career. As a result, the overarching lines of his oeuvre become visible and accessible. This book features essays, a fully annotated plate section, and a newly researched and revised biography and bibliography of Kelley's work. The publication promises to be the definitive work on the artist.